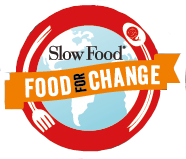 The international Slow Food movement, founded in 1989 in Italy by food activist Carlo Petrini, is a global, grassroots organisation with more than 100,000 members around the world. It links the pleasure of food with a commitment to community and the environment. Its mission is to prevent the disappearance of local food cultures and traditions, counteract the rise of fast life and combat people’s dwindling interest in the food they eat and to give voice and visibility to small-scale producers. Biodiversity — preserving threatened foods and strengthening local economies through assisting small-scale producers and building short-supply chains. Taste education — creating a better understanding and appreciation of the important connection between health, local food culture and agriculture. Food communities — connecting producers to consumers and creating an awareness that showcases sustainable agriculture and artisan food production.